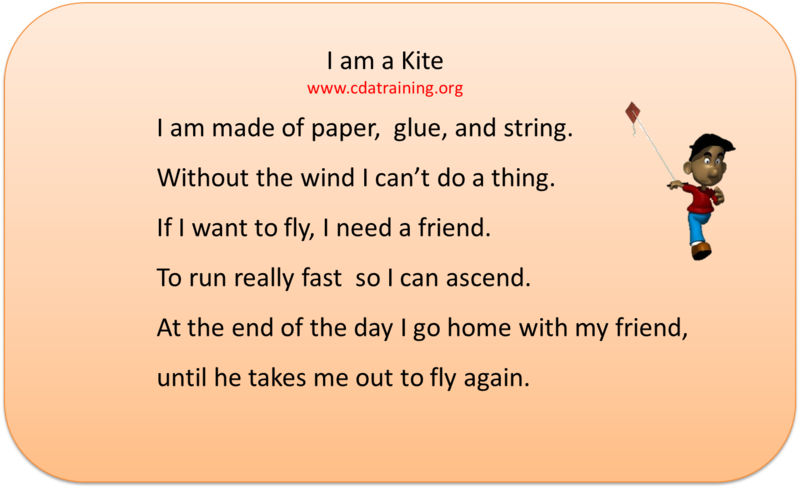 Kites of many shapes and sizes fly through the air. 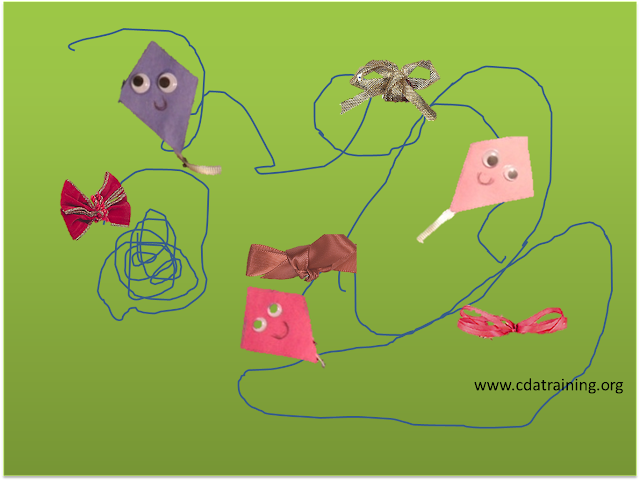 Here is a fun art activity for children to make a kite picture. 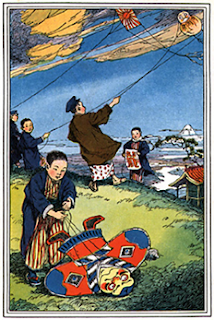 Read: “Let’s Fly a Kite” by Stuart J. Murphy. Materials Needed: construction paper, string, small kite stickers, or kites made by the children, and bows. Description: Place the construction paper on the table. Place 6 – 12 inch pieces of string in a basket next to the paper, in another basket place colored bow macaroni. Place small bottles of glue, one per child. Instructions: After reading the story, let the children use the materials to create their picture any way they would like.